lt;stronggt;LEO61605lt;/stronggt;lt;BR/gt;Charles Leonard Varicap6 Expandable 1- 6 Post Binderlt;BR/gt;Accommodates up to 1,500 sheets of paper. No project is too big to fit within its covers. Binder spine folds over and expands for the ultimate in flexibility, so you're always ready to organize projects of any size. Look no further for binder versatilityinside front vertical pocket adds extra storage for any loose sheets. Allows for custom cover creation. Capacity Range Min: 1amp;quot; Capacity Range Max: 6amp;quot; Sheet Capacity: 1,500 Colors: White Binder Sheet Size: 11 x 8 1/2.lt;BR/gt;lt;BR/gt;lt;stronggt;ALELF3029BLlt;/stronggt;lt;BR/gt;Charles Leonard Varicap6 Expandable 1- 6 Post Binderlt;BR/gt;Drawers with side-to-side hang rails to accommodate letter/legal hanging files. Full drawer extension on steel ball bearing telescoping slide suspension. Stylish full-width radius edge recessed pulls. Anti-tipping interlock system allows only one drawer to open at a time. Single key core removable lock with two keys. Color: Black Overall Width: 30amp;quot; Overall Depth: 19 1/4amp;quot;. View More In Archival Storage Binders. If you have any questions about this product by Charles Leonard, contact us by completing and submitting the form below. If you are looking for a specif part number, please include it with your message. 6 Pack - Accohide Poly Ring Binder With 35-Pt. 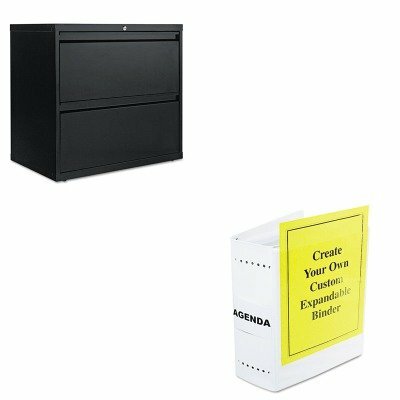 Cover 1" Capacity Executive Red "Product Category: Binders & Binding Systems/Binders"